We’re all guilty of that one. Whether it’s a child thinking of what she wants to be when she grows up or a teenager thinking of how rich and famous he’ll be one day. Even as adults we do it – thinking of the day we’ll buy our first house or the day we won’t have to do a 9-5. As we age and mature these thoughts of someday tend to grow more complex and more detailed. If you get married you then realize that your thoughts and plans for someday not only affect you but your spouse as well. You definitely can’t forget about how it may affect your kids if you have any. It’s almost as if overnight you go from thinking about what you want to be when you grow up to thinking about what you want to do when you retire. Thinking about what you’ll do someday is great, but having a plan is just as important. Arguably even more important than having a plan is having a why. We all know we should probably stay away from cake if we want to stay in shape, but it tastes so good! If you have a strong enough why then you’ll have the emotional power to say no to that cake (or at least get a smaller piece). The why will give you the day to day emotional power to say no to something you want now for what you’ve decided you really want later! Your someday and your plan are irrelevant if you don’t have a why. Another reality is that, in most cases, it takes money to make your someday come true, especially the older you get. In short, money is the fuel that will power your plan toyour someday. The truth that many people fail to realize is that the decisions they make with money today can have a major effect on their ability to get to their someday. If you can get control of your money and get it to work for the good of you instead of signing up to give it away through debt then, where money is concerned, you’ll be able to get to your someday. Exactly Who Are Kim + Omar? They met in high school. Kim’s a RN and Omar’s an IT Consultant. They’re on the older end of being millennials. They have a son who’s almost 3-years-old who they can’t imagine their lives without. 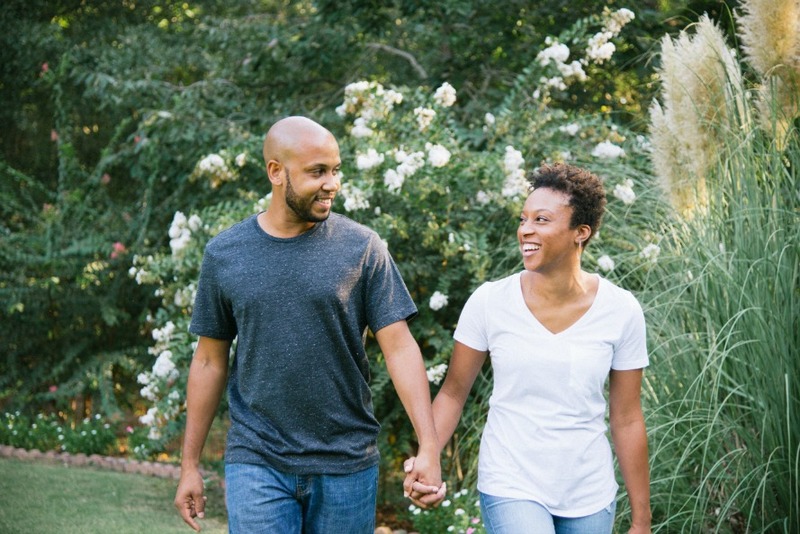 They both started their debt free journeys before deciding to get married. Omar definitely won the race on that one, especially since he was able to go to college for free. Kim, on the other hand, finished college with $36,500 of student loan debt. 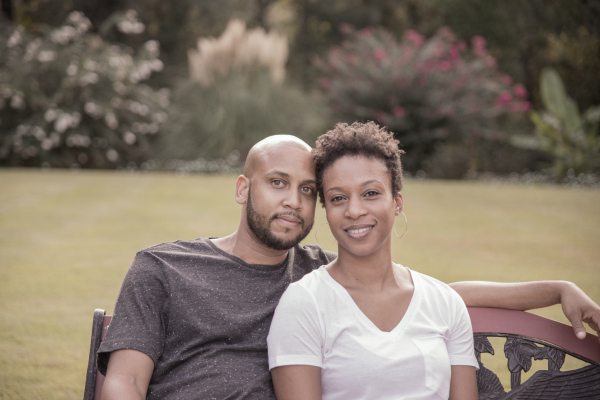 Omar paid off all his debt (credit cards + car loan = $16,000) before they were married. Kim paid off some of her debt before their wedding but paused her debt snowball in order for them to be able to pay cash for their wedding (and paused again when she was pregnant with their first child). They succeeded in that goal and then finished paying off her student loans and car loan together. They paid off almost $48,000 in 2 years. They have been debt free (except for their house) since Spring 2015. They say that being debt free is a great feeling, and they plan to continue to avoid debt at all costs! They’re currently working on updating their home, a foreclosure that they bought in 2013. They’re getting closer and closer to being finished. Once they’re finished, they plan to start paying their mortgage off aggressively. They’ve been able to accomplish a lot of things without added stress because they’re doing it all without debt. From vacations to updating their home to Kim being able to work a lot less and stay home with their son. For them, that’s what it’s all about – being able to enjoy themselves and doing whatever they want to someday. Except they started their someday quite some time ago now. And all of this was possible because they decided to take control of their finances thanks to doing a zero-based budget. Which brings us to why they started this blog, Thinking of Someday. They realized early on how money touches every aspect of their lives. If it was that way for them, they figured that surely it had to be the same for other people regardless of if they realized it or not. So they wanted to share how it’s possible to balance family and finances while living debt free. It’s not always pretty and it’s definitely not always easy. However, the benefits far outweigh the risks. They deliberated for years about starting a blog. They both had a fear of, “What will we write about? What if we run out of ideas?” After some brainstorming, Kim realized that Omar loves to talk about finances and how it affects all aspects of a person’s life, and Kim likes to talk about it as well. After all, how else would she be able to go on family vacations or get the house updated if their finances weren’t in order?! And so here you have it. Finally, they faced their fears and decided to make their dream of “Someday we’ll start a blog” a reality. Join them on their journey as they make it continue to make it to their someday while balancing their careers, finances, family life, and everything in between. And hopefully, you’ll enjoy it and learn a thing or two in the process! Welcome to Thinking of Someday!